HDFC PayZapp Offer Free 100% Cashback Coupons Promo Code & Offer October 2016, PayZapp On Boarding Diwali Festival Loot New User Offer, Free Rs.50 Recharge Trick – Free 100% Cashback on Mobile Recharge + Transfer Cashback Amount into Your Bank Account..
PayZapp app once again back with awesome Recharge loot offer for all users. HDFC PayZapp App presented so many amazing offer on Mobile Recharge, online payment and many more. We already shared so many offers. Today once again i am back with PayZapp app loot offer in which PayZapp is offering Flat Rs.50 Cashback on First Mobile Recharge, DTH Recharge or Bill Payment of Rs.50 or more + Transfer cashback amount into Bank account. This offer is valid for new users only. This is amazing loot PayZapp Free Recharge offer. This is just amazing loot offer in which you will get your Mobile Recharge absolutely free. You have to use PayZapp wallet on payment of Rs.50 at the time of Mobile Recharge. So hurry up and get 100% cashback on Mobile Recharge. Also you can transfer into bank account. That means you will get Rs.50 free mobile recharge. You will get cashback in PayZapp wallet. So hurry up and grab the loot offer. Enter Referral Code – shah17 to get 100% cashback. Now complete the profile like enter email, dob, pin & verify via OTP. Add Rs.50 in your wallet using your Debit or Credit Card (Must Add money First). Now Initiate a Recharge/Bill Payment/DTH Recharge of Rs.50. Choose from linked cards/PayZapp Card during final payment. Pay the amount using PayZapp and complete the transaction. Finally Rs.50 cashback will be added in your account within 7 days. First complete your first recharge. Once you get cashback in PayZapp wallet then use this method to transfer cahsback in Bank account. Opn Payzapp app, Click on Menu and select PayZapp card. Get your 16 digit card number, expiry date and 3 digit CVV. Now download Oxigen Wallet or UDIO App. Add Rs.50 in your wallet. Select Credit/ Debit Card as payment option. 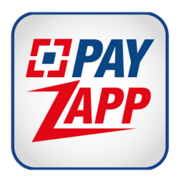 Enter PayZapp VCC Details at payment time. Complete the transaction, Now money will be added in your wallet. Now Transfer your wallet money in your Bank account. Not Applicable on Load Money, Send Money options. Customer must have a verified PayZapp Mobile Number to avail the Cashback. Cash back will be credited within 5 working days after the date of transaction. To avail the offer, customer should transact within 15days after the date of registration and min transaction to be Rs.50 or more . Offer valid till 31st October 2016. The above offer is by way of a special offer for select HDFC Bank Credit/Debit Cardholders only and nothing contained herein shall prejudice or affect the terms and conditions of the card member agreement.